What is the individual resource allowance (asset) limit in 2017 for Alabama Medicaid for the person going in the nursing home? What is the “Individual Resource Allowance” in 2017 for Alabama Medicaid for long term care in a nursing home? How much money can the person going into the nursing home on Alabama Medicaid keep? 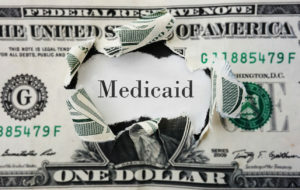 We have talked about income for Medicaid now let’s turn our attention to the “resources” or assets that the person applying for Medicaid can have and still qualify for Alabama Medicaid. This number is also called the “individual resource allowance“. A fancy name of saying how much assets can the individual going into the nursing home keep and still qualify for Alabama Medicaid. This is only for the person going in the nursing home. If married, then there is a different amount for the spouse living at home — often called the “community spouse”. The spouse going into the nursing home is called the “institutional spouse”. Let’s take an example of a single person (Bill) who owns a house worth $150,000 and has other assets of $200,000 (not counting excluded assets). As long as Bill intends to return home, the house doesn’t count (but there maybe a lien put on it). The $200,000 in assets — he keeps $2,000. He could spend it down — paying down his debt, fixing up his house, etc. Sometimes this is useful but typically this doesn’t work so well with single folks. Instead we could take half of this amount and give it away to Bill’s kids (directly or through a trust). So let’s see how this works out. $99,000 goes to the kids. Ignoring the other $99,000 for a moment, if we qualified for Medicaid, then Medicaid would see the gift of $99,000. Remember Alabama Medicaid looks back 60 months so they would see this gift. The penalty period is found by dividing $99,000 by $5,800. The answer is a little over 17. This means Bill has to pay for his own nursing home care for a bit over 17 months. How in the world do we do this and what about the “other” $99,000? We take the “other” $99,000 and buy the right type of Medicaid compliant annuity and have that pay out for a little bit more than 17 months. So that would be about $5,800 a month. Nope — not if the right type of annuity is bought in the right way. It is a fair exchange. So we now have Bill with $2,000 in assets. $99,000 was given away. And he uses the other $99,000 to buy an annuity that combined with his other resources is enough to pay through the penalty period. We obviously adjust the amount of the gift and annuity until we find the perfect amount based upon his income, etc. Lots of moving parts but this is one example of what to do with the excess assets in a way that fully complies with Alabama Medicaid rules. You do have to disclose to Alabama Medicaid any gifts within the last 60 months. Do remember that sometimes we decide to not apply for Medicaid until after the 60 month period is over — it all depends on the circumstances and what makes the most economic sense. The look back period is 60 months from when you apply for and are qualified for Alabama Medicaid. The penalty period is the time going forward when you are qualified that you have to privately pay for the nursing home care. We figure this out by dividing the amount of gifts by $5,800 (called the penalty divisor). Give us a call at 205-879-2447 or fill out our contact form and we’ll get right back with you. We’ll help you see the advantages and disadvantages of each option you have — then you decide what is best for you. I look forward to chatting with you….